The Jerusalem District Court has blocked the city from moving ahead on renovations of the Silwan neighborhood. 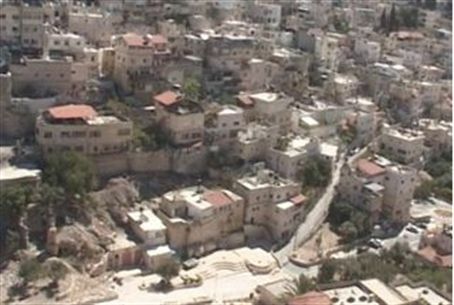 The Jerusalem District Court has blocked the municipality from destroying illegally-built Arab homes and renovating the Silwan neighborhood. Demolition orders for 22 illegally-built Arab homes in the neighborhood, located just below the Old City, have been frozen pending release of plan revisions by the Jerusalem City Council and relocation of the residents. The plans are to be completed within the next year or so. The city plans for the area include relocating the residents, who will receive compensation and land on which to build new homes. Another 66 illegal houses were to be retroactively approved under the city plan for the site, which has been known since ancient times as the King's Garden. Plans also call for turning the area into a green park and preserving it as an historic treasure. The King's Garden, also known as Shiloach, is situated at the southern entrance to the Kidron Valley and is mentioned in the Bible, in Jeremiah and in the Book of Kings.